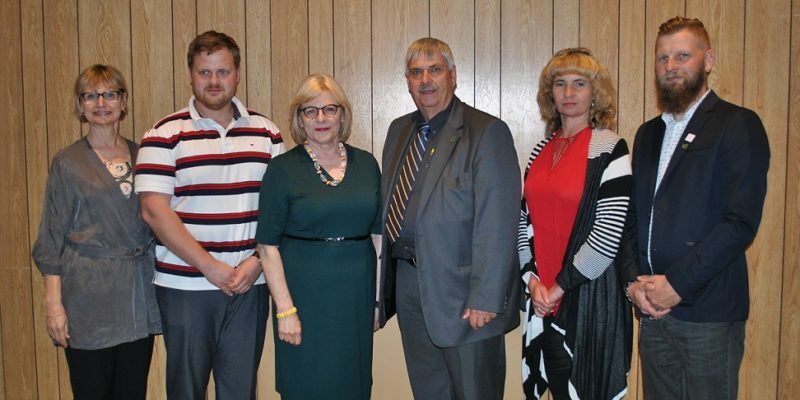 At the annual session of the Lithuanian Canadian Community (LCC) National Council held in Mississauga, Ontario on September 30, 2017, elections were held for a new National Executive. In addition to the six people elected to a three year term at the National Council Session, three others become ex-officio members of the National Executive as representatives of the Lithuanian Canadian Youth Association (LCYA), the Lithuanian Canadian Foundation (LCF) and the Canadian Region of the Lithuanian Athletic Union of North America (LAUNA). The current members of the LCC National Executive, along with the positions they hold, are listed below.